Butler County Sheriff’s Deputy Doug Hale has worked as a school resource officer for 24 years in the Lakota Local School District near Cincinnati. Many schools employ school resource officers (SROs), which the U.S. Department of Justice defines as “sworn law enforcement officers responsible for safety and crime prevention in schools.” In many instances, the SRO is a member of a local police department or sheriff’s office. Lakota East High School sits in the middle of open fields, not far from the freeway, 25 miles north of Cincinnati, Ohio. 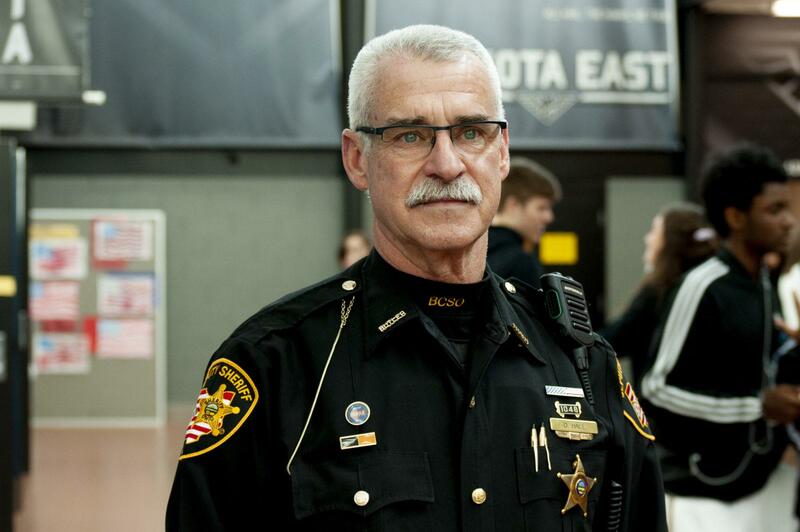 On a recent February morning, Butler County Sheriff’s Deputy Doug Hale walked the wide hallways as some of the school’s 2,300 students streamed past. Hale is a school resource officer, county law enforcement’s connection to the school. He is there to help students and as an armed presence, in the case of a school shooting. For years, Hale’s training required him to wait for backup if a shooter attacked the school. School shootings are extremely rare, but districts everywhere are under pressure to show they’re keeping kids safe. Many districts have in recent years added more school resource officers or law enforcement personnel. Some districts, though, decided armed police like Hale aren’t enough. State laws in Connecticut, Georgia, Ohio, Colorado, Oregon, and 21 other states leave the choice to arm school staff to local districts. In Georgia, the first district to arm teachers adopted the policy shortly after the Parkland shooting. 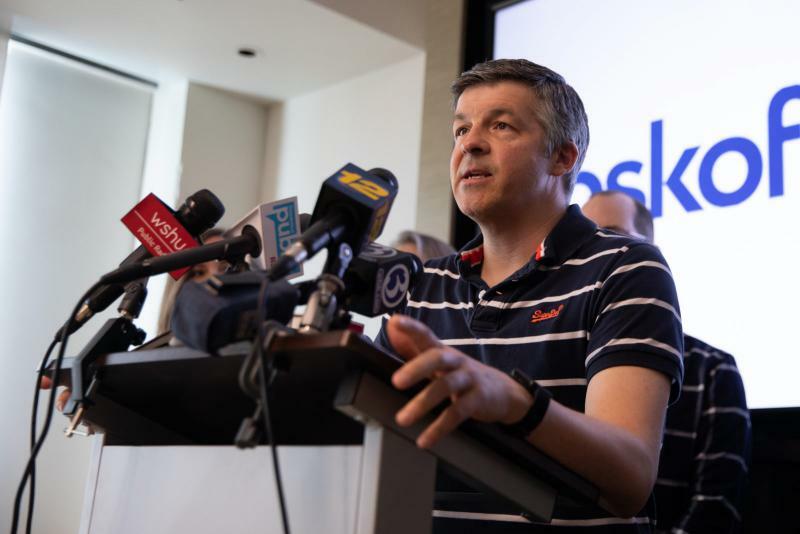 In Connecticut, state law leaves the decision to districts, but according to the state’s Department of Education, none have adopted an armed teacher policy. Buckeye’s three-day training session shows teachers how to stop an active shooter. It includes role-playing and a crash course in police tactics. Some parts of the district’s plan were revealed in court filings: armed teachers are required to carry their gun at all times; they are not supposed to pursue a shooter; and using their firearm is supposed to be a last resort, if lockdown or escape fails. 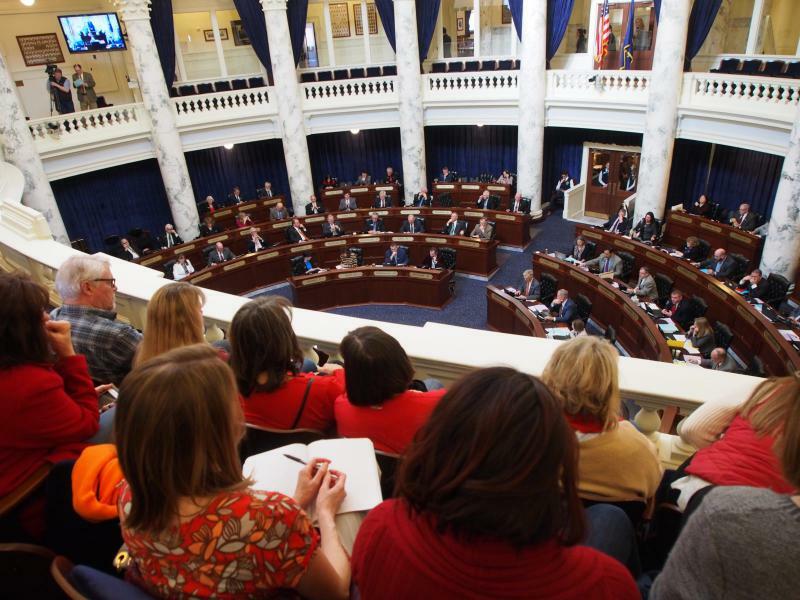 The number and names of armed teachers approved by Madison’s board remained confidential. Ben Adams is one of several plaintiffs in the lawsuit. He has five children in Madison schools. Adams insisted armed personnel like school resource officers aren’t the problem. At the end of February, a judge in the Butler County Common Pleas Court ruled against the parents’ lawsuit, ruling that local school districts can arm teachers under existing state law. Though the state requires school resource officers to undergo more than 700 hours of training, those requirements do not apply to teachers, the court ruled. Ohio districts are free to rely on Buckeye’s training. Adams, a gun owner himself who works in the local fire department, says he thinks about what he has seen as a first responder when he imagines a teacher at his kids’ school trying to stop a shooter. Adams is debating whether to join an appeal to the state Court of Appeals. He and his wife say they’re also considering moving their children to another school district. One year ago, weeks of conversations, walkouts and student action culminated in March For Our Lives events in Washington, D.C., and across the country.